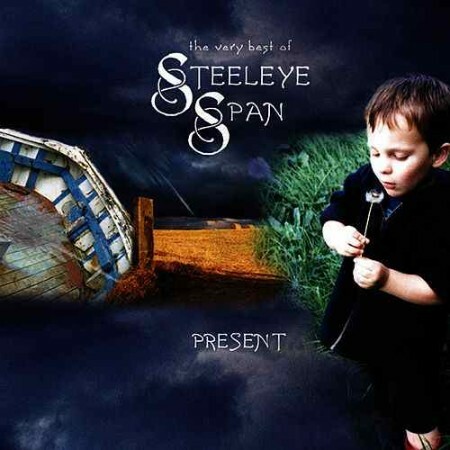 Steeleye has yet to be afforded a comprehensive box set of rare and unreleased tracks, although there have been some collections that have included a few of the more readily available ones. This page will document all the known non-standard Album tracks, from singles , studio outtakes, BBC Sessions, Live tracks, interesting variations, bootlegs or even ones with no known recordings. I will highlight ones which are readily, and not so readily available. There are over 100, but maybe one day they all will become available in the same place. The final section explains the differences between the LP and Single versions of the various single releases. This is thanks again to Chris Haines. Obviously I would love to hear about any other rare tracks that you know of, I'm sure this list is not exhaustive! Full details of all these songs and sessions are on the 'BBC Sessions' page. 'Adieu Sweet Lovely Nancy'. Sept '71. Available as an offair recording. 'Aitken Prawn' (Tune?). Sept '72 of which few details exist. No known recordings. 'Black and White Rag' Apparently played in the same July '72 session but not confirmed or heard. Also played live. 'Bring 'Em Down / A Hundred Years Ago. Sea Shanty's from March '71. Available on PtstK/TMP Castle CD re-issue. 'Bring 'em Down' (Sept '71, Carthy) / 'Haul on the Bowline' (Hart). Available on PtstK/TMP Castle CD re-issue. 'College Grove/Silver Spear' (Oct, 1970). Available on PtstK/TMP Castle CD re-issue +Hutchings 'The Guv'nor Vol 1. 'College Grove / Silver Spear / Ballymurphy Rake / Maid Behind the Bar' (Sept '71). PtstK/TMP Castle CD re-issue. 'Dancing at Whitsun' (May 1972) . Recorded by Tim and Maddy but here played with Peter as well. Also appears at special 35th Anniversary show at London palladium in 2004. 'Handsome Polly-O' (Sept '71) Effectively a Carthy solo track. Available on PtstK/TMP Castle CD re-issue. 'Hitler's Downfall' Tune paired up with 'Hag with the Money'. Available on PtstK/TMP Castle CD re-issue. 'I Live not Where I Love' Sept '71. Tim and Maddy solo. Available on PtstK/TMP Castle CD re-issue. 'I was a Young Man' June 1970. Sung by Carthy. Available on PtstK/TMP Castle CD re-issue. 'Jacobite Rock' (Rick vocal) Sept '72 of which few details exist. No known recordings? 'Lay Down Your Weary Tune' (Oct, 1970). Available on PtstK/TMP Castle CD re-issue +Hutchings 'The Guv'nor Vol 1. 'Let's Dance' (Chris Montez song) March '71. Available on PtstK/TMP Castle CD re-issue. 'Lots is a Bun Dance' (Feb '73). No known recording so little is known. Probably a tune. 'Rag Doll' (July '72 Frankie Valli) recorded for a single the following year. Appears on various collections. 'The Lyke Wake Dirge' (Feb '74) Frequently sung live at the time, 1st heard June 1973 but it was not recorded until 2002 on the 'Present' CD. 'The Musical Priest' (Sept '71) At the end of Dowd's Favourite/£10 Float but also appeared live, including the '75 RockPalast TV appearance. 'Three Drunken Maidens' (Jan '73) . The song also appears on 'Harvest of Gold' CD collection but a different version. 'Truck Driving Man' (Oct '72) Sung by Bob and used in Live gigs at the time. Also listed as 'Cup of Coffee' & included in Rockers Encore sometimes. Bootleg only. Doesn't include tracks included in Sessions above. Found on Bootlegs unless stated. 'Bright Morning Star' (Feb '71). Mark II line up supporting Jethro Tull. Bootleg exists. 'The Dying Soldier' (Feb '71). Sung by Maddy at Tupholme Manor Folk Festival. No known recording? 'Corunna!' 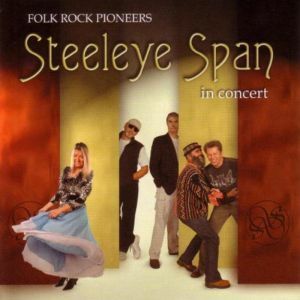 The traditional songs featured appeared on Steeleye Albums except for '100 years ago' / 'Arthur McBride' / 'Bembibre Wassail (Lyrics Tim Hart) / Mountains of Spain (Sung by Martin). The rest were Keith Dewhurst written songs, sometimes with traditional music. For full track listing see image on the TimeLine for 1971. 'Pace Egging Song'. Or 'Beg Your Leave'. Frequently played live track first appeared in Oct '71 by Mark II line up and featured heavily on US bootlegs in '74. Also played on 'Electric Folk' in 1975. 'Hornpipes & Jigs' (Nov '71 Peter and Maddy). Could be tunes that have been heard before. 'The Wren' (Nov '71) . No details known. 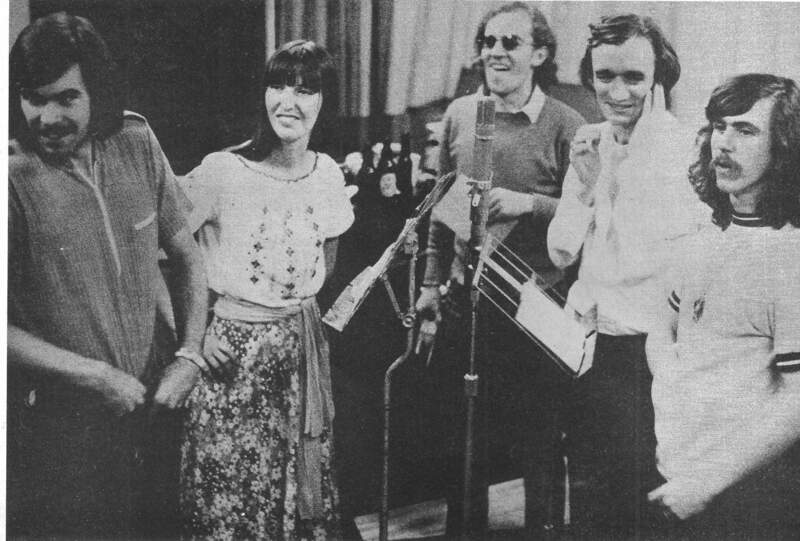 'Singing the Travels' (June 1972). Not 100% sure of title. 'Young Neil my Darling' (from Kidnapped?) Aug '72. Don't think a recording exists. 'Oak Tree/Pidgeon on the Gate'. Early 1973 tune prior to Nigel joining. 'A Tune collected by Sally Grodpile' (May '73) . This is how Peter introduces it on the audio bootleg of the US TV PBS-TV performance. Almost certainly 'Lark in the Morning' as Peter often made up silly names for the tunes! 'Four Poster Bed' ('73) . No details known. 'Peasecod Time'. On US and UK 1974 tours, and on the 'Electric Folk' episode from Penshurst Place in 1974. It would sometimes appear at the end of 'Summer Is a Coming In/Staines Morris' as a 'Pastoral' Medley of Pieces. 'Remember you're a Womble'. Followed 'Peasecod Time' live in 1974. Tune only! 'Nautical Medley'/'Sea Shanties'. Encore on US '74 tour. 'Hearts of Oak'/'A Life on the Ocean Wave'; 'Rule Britannia'. Hearts of Oak also heard in Manchester around the same time. 'Beautiful Doll' (1974 Autumn Tour) Also on 'Electric Folk' episode from Gloucester 1975. 'Devil's Dream' A Jig that features frequently over the years as an opener or in the encore. Can be heard on 'Gone to Australia' 2001 CD. 'Mummers Play'. See Timeline in 1974 more details. 'I'm forever Blowing Bubbles. (November 1975 'Hat' Tour & in 1976 plus the 'Frankenstein Play' - see 1974). 'You Won't See me' (November 1975 'Hat' Tour encore) . Beetles song. Don't think a recording exists? 'When Will I be Loved' (November 1975 'Hat' Tour encore) . Everley Brothers. Don't think a recording exists? 'Song for Germany' 1976 US Rocket Cottage Tour. 'Loves a Plum Pudding' John Kirkpatrick Morris tune from 1977. Don't think a recording exists? 'Sword Dance' Another Morris tune from 1977. Don't think a recording exists? 'Sweet Swansea'. Trad song about Prison played during 1977 as a first part to a 'Prison' medley with The Treadmill Song. Sang Acapella by Tim. 'Down in the Valley' (Tamborine only). Encore track from 1977/78 line up. Various 50'/60's Rock n Roll classics performed by the band, usually, but not always part of an encore around the years 1972-74. They would often make a quick change after the main show and come back on dressed up in 'Rockers' outfits. Most of these these tracks only exist, if at all, as part of various bootlegs, usually from the tours of America. 'All Dressed up and Nowhere to go' ('73). Piano+Maddy + Band Backing Vocals. 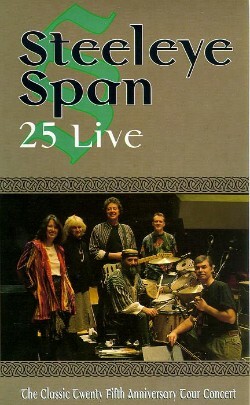 Available from when Steeleye supported Procul Harum. 'Hello Mary Lou' ('73). Session recording available. 'Rag Doll' ('73). Released as a Single. 'Truck Driving Man' Also frequently sung as part of the 'normal' set, and in a session. 'General Taylor' (1971) Studio Outtake from Please to see the King. Appeared on 'Individually and Collectively LP in 1972. Also on the 'lark in the Morning' CD collection. More recently on the 2006 Castle Re Issue of Ten Map Mop, along with a BBC Session version. A Mark III line up version from a '72 session appears on a Bootleg. 'Bonny Moorhen' (1973). From Parcel Of Rogues studio sessions. 1st appeared on 'Original Masters' LP. On various collections since. Was excluded from album because there were 'too many' Scottish songs. 'Z Cars Theme'. Not really an outtake but the band were commissioned to record the theme music to the series. 'Super Womble'. (23rd July 1975). Full story on 1975 page. Steeleye actually recorded a version of this song in the studio (while recording 'Hat') in order for Mike Batt to get it on Top of the Pops the next day - all TotP tracks had to be recorded the day before (Union rules). The band then mimed to this track the next day on TotP. The episode does exist but is not currently on Youtube. 'Staring Robin'. (2000). A Tim Harries original song about an "Elizabethan Psycho". Full details on the time line for 2000. Recorded for the 'Bedlam Born' album but has never been released or surfaced so not yet available. Played on the 2000 tour and I recorded a poor quality bootleg and put it on Youtube. More details available on the Timeline pages where relevant. 'Rave On' (1971). Single. Appears on a number of collections in slightly different variations. See final section. 'The Holly and The Ivy' (1972). Appears on various collections including a version with spoken Xmas greetings from the band which is on 'A Rare Collection'. 'Hard Times of Old England' (2008) Studio recorded unreleased single, shortened 'Rock N Roll' version that appeared live at the time. See 2008 timeline for details. 'Somewhere along the Road'. (2015). A Rick Kemp composition sung by Maddy for years. This is a studio recording and they played it live. Appeared on 'Catch Up' Album. See final section below for more details on other single releases. 1980s and 1990s live tracks. 'The Masons Apron' (1984) (available on 'Gone to Australia') . Frequently played jig that often followed 'Hat' or other encores. Also appears on the 1994 25th Anniversary Video. 'In the Bleak Midwinter' (1985) . Sang on Pebble Mill at One, probably mimed. Appears on 'Winter' album but included here as a very different line up. 'Pheonix' A song played at City Hall, St Albans in October 1985. No other details known. Rick Kemp did write a song of this name released on one of his solo albums a few years later. 'All I have to do is Dream' (1987) . Mark Williamson sang this as an encore during the 1987 US Tour. 'Blues Jam' (1987) As part of the same tour the band did a 'Jam' of Blues themed tunes as part of the encore. Bootlegs exist of the Cambridge gig which is how these are known. 'Eb English' (1993) & 'Picnic' (1993) These two Peter Knight original tunes (from his solo album 'An Ancient Cause' a year earlier) Played on the 1993 and 1994 Steeleye tours available as a bootleg from '93 and on the '25th Anniversary' Video in 1994. 'Sorry the day I was Married' (Trad Arr, 1993). 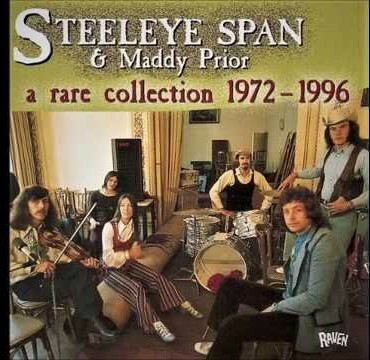 A Maddy/Tim track that made an appearance with Steeleye in 1993 for the first time when Tim toured with the Band as the Support act. Now featuring on 2018 tour. 'Lowlands of Holland' (1994). From the 1994 25th Anniversary Video. Sang by Gay, played at a much slower pace with just Keyboard and Violin hence why included. Both played on the 1996/7 tours but do not appear on any known live recordings, released or otherwise. 'Stuttering Lovers' (1999) A Gay Woods song, "A bit of nonsense" as she described it, first appeared in the 30th Anniversary tour but never made it to the next album. Poor quality bootleg recordings do exist. It may have been recorded during Bedlam Born recording sessions but not sure. When the 'classic' line up re-united they recorded the 'Present' album which had a couple of interesting tracks/variations worthy of note. 'Let Her Go Down' ('Present' and 'Folk Rock Pioneers in Concert') When the Peter Knight track was recorded in 1980 on 'Sails of Silver' the middle verse was altered to enable Maddy Prior to sing a verse as it was thought at the time it was single material. This version goes back to the as intended version and makes much more lyrical sense of the song. 'Lyke Wake Dirge' Recorded for the first time by the band. Appeared in concert in the mid 70's. 'Hard Times of Old England'. Much slowed down version. 'The Neck Belly Reel' 2008. Appears on 'Live at a Distance'. Peter Knight fiddle tune. 'I live not where I love' (Trad Arr). 2006. Appears on 'Live at a distance'. Another live only recording of this frequently sung Maddy favourite. 'Robbers' Medley. Cadgwith Anthem/Hark the Robbers/Jack Hall. Sung live 2014-2015. Hark the Robbers was a new song to the band and whilst Jack Hall was on 'Tempted and Tried', the two different versions that featured in concerts, one sung by Rick and one later by Julian (2015) were quite different. 'Hares Medley': On Yonder Hill; Hunting the Hare; The Poachers run. 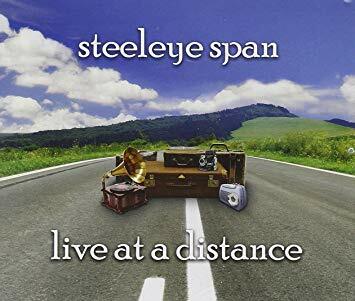 Played in 2015 Live and all songs new to Steeleye, although of course Maddy has written songs about Hares on Solo albums when she was asked to do the score for a TV programme about Hares. 'Deep in the Darkest Night' . 2016. A Rick Kemp composition sung A Capella in the Encore. 'Domestic Medley' which includes 'My Husband has no Courage in Him', a Silly Sisters song. 'Roadways' A new Spud Sinclair song put to a John Mansfield Poem. 'Reclaiming' a Rose Kemp A Capella composition. As was common at the time most singles were edited down to be more Radio friendly but some were also slightly different versions or had various overdubs added. A Side: ‘Dry’ version without fade up or down. Verse 3 and the following chorus and fiddle break are edited out (retains last unaccompanied chorus). NOTE: all comments above relate to A Sides. B Sides are LP versions. A Side: The bass is different at the beginning and the drums certainly are throughout. Undecided - probably a remix. B Side: Also probably remixed, with extra fiddle riffing at the beginning and noticeably more prominent guitar at 2:27 on. Runs slightly longer.